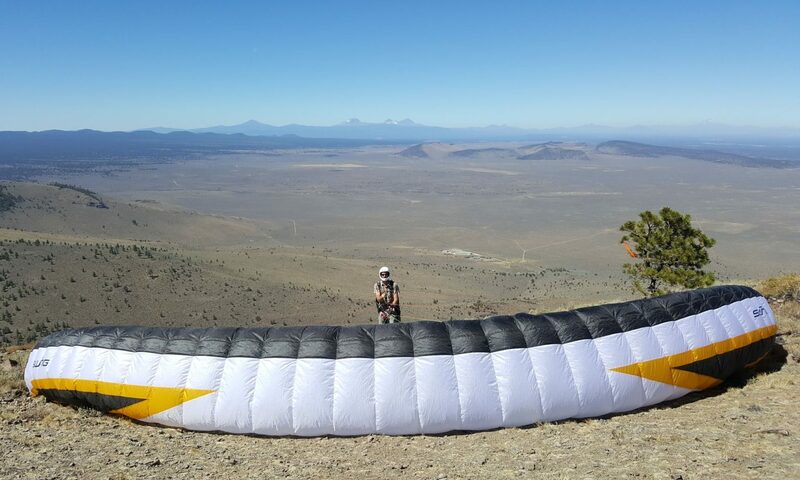 The Desert Air Riders is a non-profit paragliding club, and our purpose is to promote safety and to preserve flying sites for paragliding in Central Oregon. Our club is a chapter of USHPA (United State Hang Gliding & Paragliding Association). The Oregon Secretary of State, Corporation Division lists the Desert Air Riders as a Domestic Nonprofit Corporation. The club is categorized as “NAICS Code 813410 Civic and Social Organizations” and “IRS Type: 501(c)(7) – Social and recreational clubs which provide pleasure, recreation, and social activities.” The Desert Air Riders bylaws are the rules that govern how the club works. USHPA membership is required to fly at insured flying sites. To join USHPA or renew your membership go to the Membership page. 1. Text a USHPA# to 719-387-4571 and you’ll get a message back telling you whether the member is current and summarizing their ratings. 2. Scan the QR code on a member’s USHPA card or keytag using a mobile barcode scanner app. 3. Sign in to the USHPA website, select Members > Find A Member from the menu, and you can look up members by USHPA#, name, etc. 4. Use the USHPA Member Lookup Form below to look up members by USHPA# without needing to sign in. The Desert Air Riders has 30-Day USHPA membership forms available for foreign pilots at a cost of $7. Contact a club officer for more information. Reserve Repack Check List (PDF) – John Iraggi’s check list from 2018 reserve repack clinic. Oregon distance record July 15, 2015 (PDF) – Jared Anderson’s 145.8 miler to Steens Mountain. Oregon distance record July 15, 2008 (PDF) – Brian Webb, 136 miles, Pine Mountain to Venator. Oregon distance record July 2, 2004 (PDF) – Jeff Huey’s 111 mile flight to Crane. Pine Mountain Strong Wind Glass-off Techniques (PDF) – By Frankie Aspinwall and Phil Pohl. XC Clinic Outline (PDF) – Jeff Huey on GPS Use, XC Routes, Radio Communication, and more. Flight of the Bumbling Bee (PDF) – Pete Keane on how he learned to paraglide in the late 1980’s. In The Beginning (PDF) – Bill Arras on his paragliding adventures in the late 1980’s. Visions of the Future (PDF) – Written by Pete Keane in 2002 about the future of local paragliding. In the spring of 1993, Phil Pohl expressed the desire to start a paragliding club in Central Oregon. I (Frankie) knew nothing about starting a club, but was willing to help. That spring, we put on a clinic at Pine Mt. As I recall, it was Memorial weekend and as is the norm for Memorial weekend it rained. When the time was running out for the weather to change, we gathered the group and told them that we were going to refund their money. At that time Pete Reagan stepped up and said (no yelled) “Let’s donate the money to the new club” and the rest of the group agreed. This was a good size group of mostly Portland pilots and their generosity put about a thousand dollars in the kitty. The next order of business was to choose a name. A few ideas flew around like “The Para People From Pine” and the “Desert Air Rats”, which by the way almost won the vote. In the Spring of 1994 our club became a chapter of the USHPA. Our numbers have grown from 8 Pilots in 1993 to nearly 30 local Pilots in 2002. I can’t believe we have gone from such a small start to an actual (some what) organized club with an e-mail list and web site. This is the start of our ninth year. Where has the time gone? The Club was started with the purpose of promoting safety, site preservation and the enjoyment of all who joins in. One of our big accomplishments is the Pine Mt. Fly-In that we host each year for over 100 pilots. A great time is had by all! Now, that’s something to be proud of. Also, our efforts to keep Mt. Bachelor open and a flyable site is a lot of work and we should be commended for our efforts. It takes each club member’s help to make it a fun club and we should all try to make an effort to do just that. Let’s all have a safe flying season and look out for each other and help each other make good decisions.